At the Salons G.L. Avenida del Mediterraneo 32. Teulada. Buster is the Managing Director for EFR Training in UK, Spain and Europe, creating confidence for Care and First Aid Training. 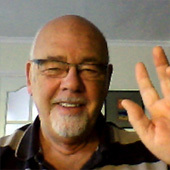 His Talk will contain the information essential for a first aider if faced with a medical emergency. It is very important to know basic first aid treatment should an unexpected situation arise. In 2017 we saw our membership exceed 2,000. Who would have dreamed that would be possible only nine years and a few months ago when Moraira-Teulada U3A was but an idea in the thoughts of one or two forward thinking folk – and I mention in particular the sadly missed Pamela Kershaw who became Vice- President and Sylvia Tatnell who recently retired as a Teulada-Moraira Councillor. Those who take advantage of the many activities we offer certainly must appreciate the efforts of all those who are active, in any way, in our organisation. Many of the existing members of your Committee will continue their efforts to support and develop your U3A in the coming year but, having said that, one or two, myself included, will be standing down from their positions and we really do need members to come forward to replace the vacant roles. Unfortunately, many members still seem to be afraid of offering their time to fill these roles and after four years on the Committee, with two of them as your President, I still cannot understand why! The requirements are very simple: common sense, enjoy working with people, approximately 2-4 hours per week and being comfortable using the internet and emails. This is the link to the application form or just give me or any committee member a call. All of the Groups have again been very busy this year organising some wonderful events and trips and many members have commented to me about how much enjoyment they have received from those activities. So, once again I wish to thank all of my wonderful Committee Members who have provided me with such tremendous support over the past two years and I also want to take this opportunity once again to thank our “silent” volunteers, those members who beaver away in the background to ensure that General Meetings, groups, the website and all of our other activities run smoothly. I have just had an invitation to the U3A 10th Anniversary Dinner Dance with Headteacher type instruction “no jeans”. I understand a sagging crotch is not attractive, but jeans are not the problem it’s more the lack of looking in the mirror. Old badly fitting trousers can also look appalling with wide flappy legs or bell bottoms. Smart jeans nowadays are, in many cases, more expensive and far more fashionable than trousers. So I think for someone to dictate "no jeans" is totally unreasonable. 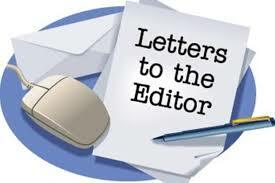 I would like to request through the U3a Newsletter that a man be allowed to decide for himself what he wishes to wear to a special event, and that the likes or dislikes of some are not imposed on everyone. There is absolutely nothing wrong with "smart jeans" and I hope that all members receive an email stating this. What a fantastic start to the year! Last night’s quiz raised a whopping 588 euros. This was paid into the MAS bank account this morning.Receipt attached. This total includes an anonymous donation of 50 euros, 33 euros from our UK friends Helen & Brian, 20 euros raised in an auction of a bottle of upmarket men’s Eau de Toilette (valued at £43) generously donated by Sue Bycroft and the shrapnel from the loose change bucket. I would like to thank Marian and Bonnie for their invaluable help selling the scraps of paper for the nearest to question, collecting the entry fee and selling 250 euros worth of raffle tickets. Wow . We started the evening with about a dozen raffle prizes and in no time at all you generous folk had more than doubled them. Many, many thanks to all you FANTASTIC contributors. The next quiz is on Weds 28th February. 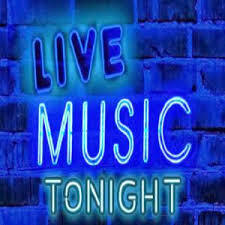 But before that we have the music night with ‘CONTRABAND’ to entertain us on Fri 9th Feb. There only a few places left if you wish to attend what promises to be a great night. Tickets for this event are 15 euros to include a meal. Contact me to book your place. Just a message to all the new members and also to any existing members that we have two Art & History talks in February. Information in this Newsletter. These talks are free to all members. Also a reminder that our president John Hopwood will be talking in depth about the magnificent rise and spectacular fall of the Woolworth Empire on Monday 29th January. 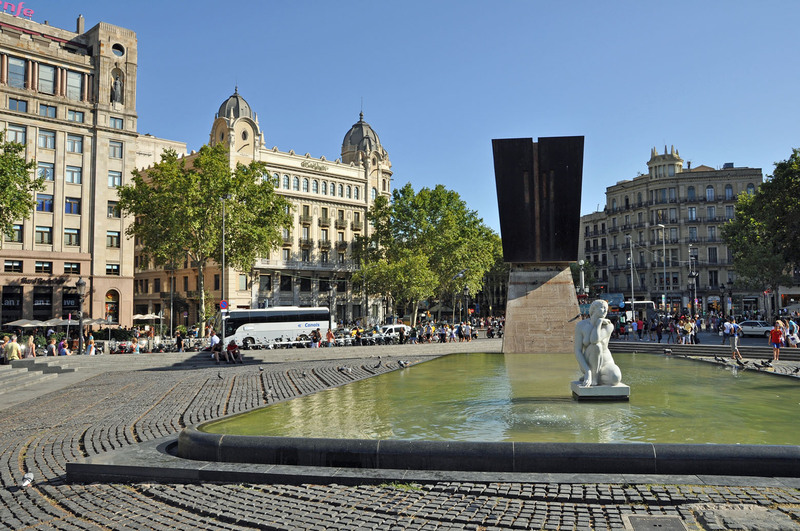 Spain has two preeminent cities: Madrid, with a focus on monarchy, government and centralism; and Barcelona, with a focus on business, industry, and regionalism or separatism. This presentation will show how the cities developed, from their Roman (Barcelona) and Moorish (Madrid) origins to the present. It will also examine the relationship between the two; over the last 300 years it has often been a difficult one with Madrid, as the national capital, beating a drum to which Barcelona must also march. It will close with a review of the standing of Catalan separatism today. 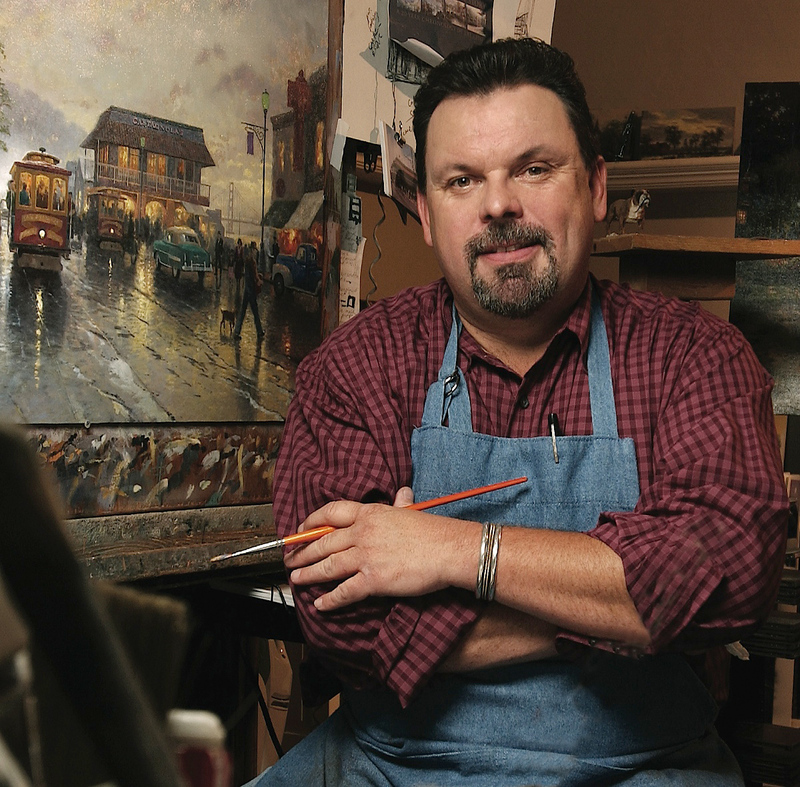 The triumph and tragedy of Thomas Kinkade, the “Painter of Light™” (1958-2012). In terms of sales, Thomas Kinkade was literally the most successful living artist in the world. He was a devout evangelical Christian and accomplished modern-day impressionist, winning numerous awards for his art. He characterised himself as “Thomas Kinkade, Painter of Light”, a phrase he protected through trademark, but one originally attributed to the British master, J.M.W. Turner (1775-1851). According to Kinkade’s company, 1 in every 20 American homes owns a copy of one of his paintings. Yet he died in tabloid-ready disgrace, from an overdose of alcohol and Valium at the age of 54 years, his personal life and his business in utter disarray. His life and art will be examined - was he a genius as an artist as some have claimed, or is his work “so awful it must be seen to be believed” (Heath & Potter). 16th/18th January Benitaxell Southern vineyards. Once again the pre walk check threw up problems. After parking by the church the route took us down through the town, across the Benitaxell/ Javea road and down into the vineyards. It then crossed the Teulada/ Benitaxell road and dropped down into the baranco. There the path was completely blocked by fallen bamboo and prickly bushes and the next field was overgrown with tall stiff grasses. Another route was tried which ended at a high terrace wall. To avoid this entailed a long trek across a vineyard with no obvious path. As it happened, 70 people and 2 dogs turned up for the walk! This was the highest number ever. Brian, the leader decided that to take all these people across someone’s vineyard was unfair so a shortened route was taken. Coffee was at the bar by the church. 27 walkers and Linda the spaniel, a regular walker, did the Thursday walk. For both walks the weather was warm and sunny. Above are some of the 70 walkers of our record turnout. ( Dave Reynolds). This route has some very steep hills and narrow lanes but the views were wonderful when we reached the top. Sometimes Ibiza can be seen clearly. There were 27 walkers on Thursday and two different dogs. It was very misty and quite chilly and became windy when we reached the top of the hill. Both days we met at the Bar opposite the school. 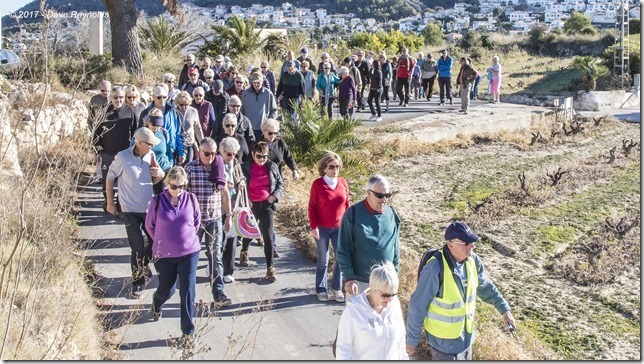 Next week the walk on Cumbre has been postponed and the next 3 walks brought forward to coincide with the blossom, so the group will meet at the Cemetery at Benissa on 30th January. 68 Walkers and Partners attended the dinner. There was no seating plan so everyone may have been sitting next to a person they hardly knew, but being a friendly bunch it was obvious by the noise that everyone was enjoying themselves. The meal was excellent and served very efficiently on very hot plates (sign of a good restaurant). Nothing was too much trouble for the staff. After the main course there was a pause. Former Leader John Dimsdale, who has returned to England to live, said a few words about how he was settling in Bromyard and invited members to visit if they were near (not all at once!) then Group Leader Brian made an amusing speech. After welcoming all he began with a few statistics. There have been 33 walks since September and no cancellations due to weather. The average number of walkers on the Tuesday walk was 42 and 24 on the Thursday walk. The highest number was 70 on the first walk in January and 68 on 23rd January. On that walk, for safety reasons, the group was divided and they walked in opposite directions. Brian said he wondered why the Group was so popular when walkers were ‘nagged about correct footwear, not keeping up, talking and not walking, not keeping to the left or noting the scenery! !’ He remarked to applause what a friendly group it was immediately embracing new members and helping each other. Brian thanked the other Walk Leaders because without them the Group could not function as most of the Leaders are not Resident and can only spend a maximum of 183 days a year in Spain. Brian also wanted to make an award to the ‘Walker of the Year’! This walker was consistently punctual, wore the correct footwear, did not lead or drag behind, did not grumble at hills, was friendly to all and walked doggedly to the end. By this time most had realised that this walker was……………. Linda the spaniel! Her owner, John Foster was presented with a tin of dog food beautifully wrapped in pink paper. The diners thought this was hilarious and it added to the great atmosphere of the event. Already there are murmurs of another ‘End of Season’ walk in June! Wage a war on the nasty cold and flu viruses doing the rounds with hearty stews and tagines. 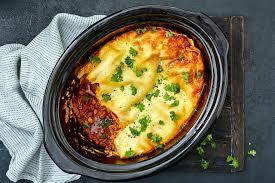 My best friend at the moment is my slow cooker, just add all the ingredients and let the flavours meld over a slow heat. Finish with a yummy fruit crumble. Heat the oil in a large frying pan. Fry the onion for about 5 mins until golden. Tip into the slow cooker pot then fry the chicken and chorizo in the same pan until starting to colour – you will need to do this in two batches. Add to the slow cooker with the peppers and olives. Tip the wine, stock and tomato purée into the frying pan. Scrape up any bits stuck to the bottom, then tip into the slow cooker, cover and cook on low for 6 hrs. Heat the oil in a large frying pan. Add the onions and mixed herbs and fry for 2-3 mins. Then add the carrots and fry together, stirring occasionally until the vegetables start to brown. Stir in the mince and fry for 1-2 mins until no longer pink. Stir in the flour then cook for another 1-2 mins. Stir in the tomato purée and lentils and season with pepper and the Worcestershire sauce, adding a splash of water if you think the mixture is too dry. Put everything into the slow cooker. Custard or cream to serve. Heat oven to 190C/fan 170C/gas 5. Put the chopped apples, sugar, lemon zest and juice in a saucepan and cook for 3-4 mins. Add the pears and cook 2-3 mins more, until the fruits are just beginning to soften. Spoon the fruits and juices into a 1.7 litre pudding dish and flatten slightly. 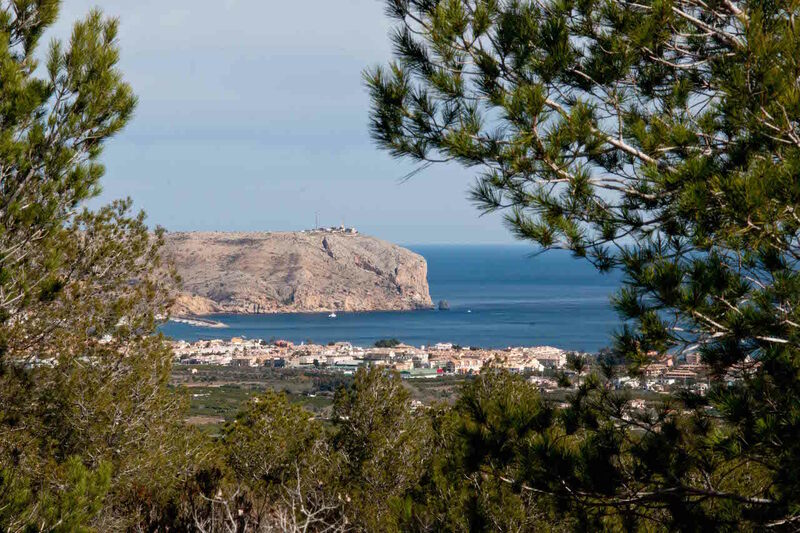 Festivities for Carnaval 2018 in Moraira and Teulada will be 9th to 11th February. Programme not available at this time but will be available at Tourist Information office shortly. 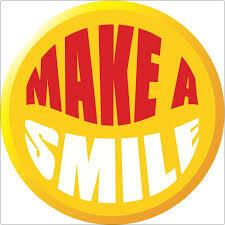 The next charity gig for Make A Smile Charity is at Los Amigos Alcalali on 9th February. Veggie or Fish option by request. Lady Gaga and Michael Jackson Tribute show. 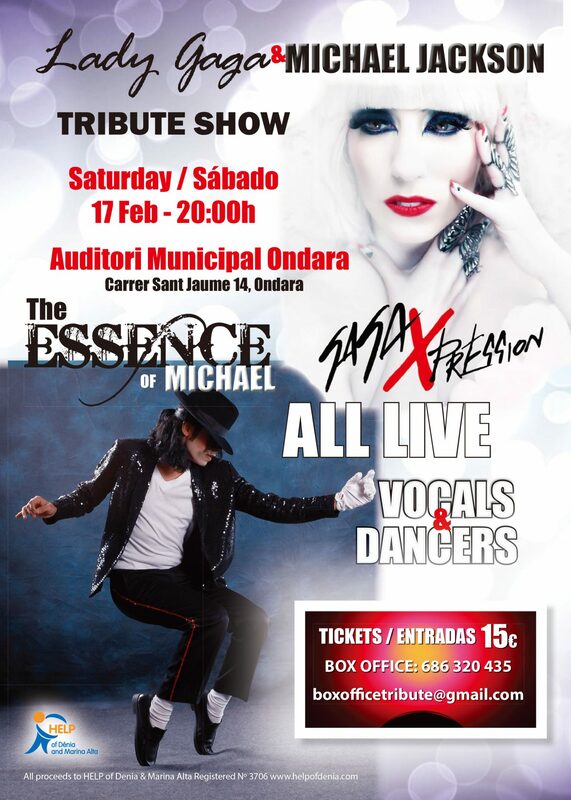 This is a great Tribute live show with vocalists and dancers. Should have you up and dancing in the aisles. You will also be helping HELP to raise much needed funds to help others. The Teulada – Moraira Lions Present “The Liverpool Band” in Concert. The Teulada – Moraira Lions are proud to present the best tribute to the legendary Beatles here in Spain. 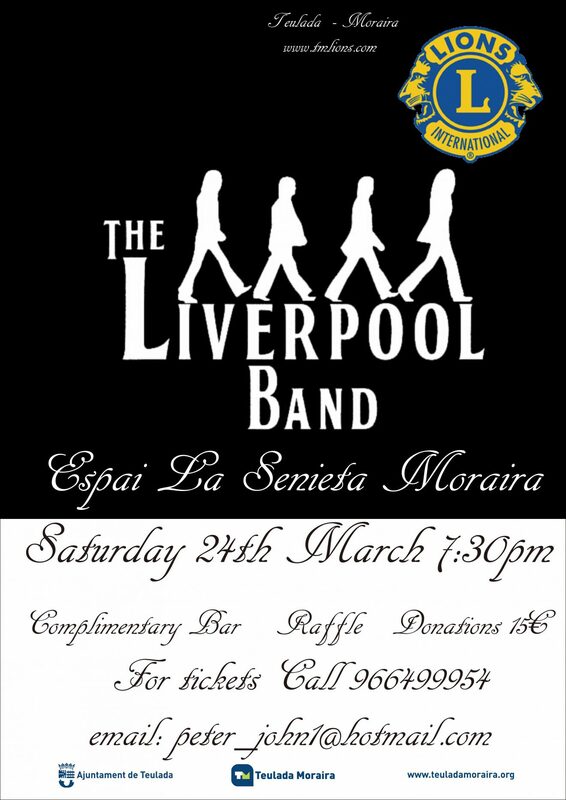 The “Liverpool Band” will be performing in Espai la Senieta, Moraira on Saturday the 24th March starting at 7:30pm. These young Spanish guys present an amazing tribute to the “Fab 4” and regularly perform at the Cavern Club in Liverpool. They have a very polished act and great vocal harmonies and with the addition of a keyboard player this performance promises to be even better than before. Professional sound and lighting will be supplied by Magnum productions of course. For a great evening of “Beatlemania” don’t miss this great show in a lovely theatre. There will be a complimentary bar available and we will be holding a raffle. 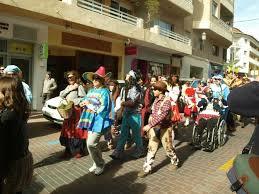 All proceeds will go to the Teulada – Moraira Lions Charities.